Third-grader studying the Spanish settlement of California found a virtual tour online and shared the trip with her classmates by slipping a smartphone into a Google Cardboard viewing device. Such limitless online resources represent a big, blended leap beyond the essays students in Coalinga-Huron USD in Central California used to write. 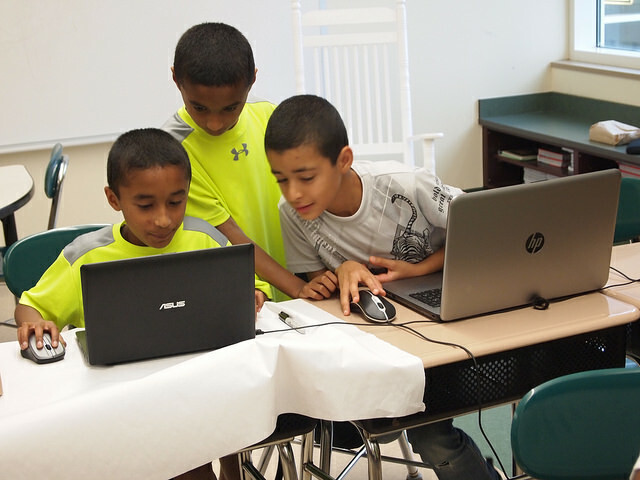 Blended learning for the district’s 4,400 students began three years ago, and in the past year has gravitated to blended 2.0, says Joe Casarez, associate superintendent for instructional services. A survey of 1,381 students in the district showed nearly 74 percent were more engaged, and 89 percent agreed they could solve problems or create presentations by researching online, he adds. Across the country in New York, all 7,300 students in the Middletown City School District engage in variations of blended 2.0. Students begin researching topics online at home and then get guidance from teachers in the classroom, says Superintendent Kenneth Eastwood.